So I think it’s safe to say fall has officially arrived in Colorado. You guys, this week has been down right cold and we’ve had nothing but rain and cloudy skies. Really, it’s been four straight days of gloomy weather and I’m just about over it. We even had to turn our heater on for the first time this week. And at this point I just neeeeeeeed sunshine. I mean, it doesn’t even have to be warm out. I just want the sunshine. Is that too much to ask? Probably. But the weather people say that warmer temps are headed our way soon, so I’m crossing my fingers and hoping they’re right this time. Anyway, that’s enough belly-aching about the weather. Let’s get on with the post, shall we? Today is a fun one because I’m sharing how I added a bit of simple fall decor to our cozy living room. 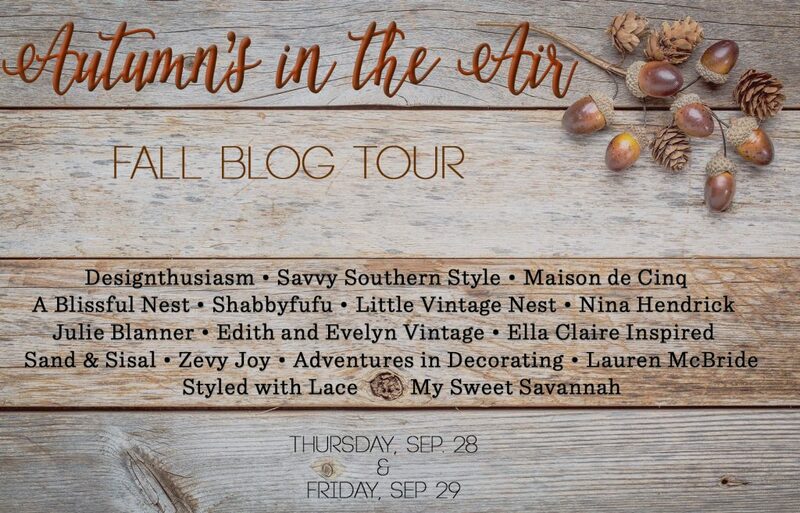 And the best part is that I’ve joined a group of 16 talented bloggers for a fun blog tour where everyone is sharing how they’ve decorated their homes for fall. It’s going to be a good one folks, so grab your coffee and let’s get started! I know I say this every time I post anything with our reading nook, but gosh I love this spot so darn much. I actually sit in there all the time to work or watch TV. It’s easily one of my all-time favorite projects we have ever done. 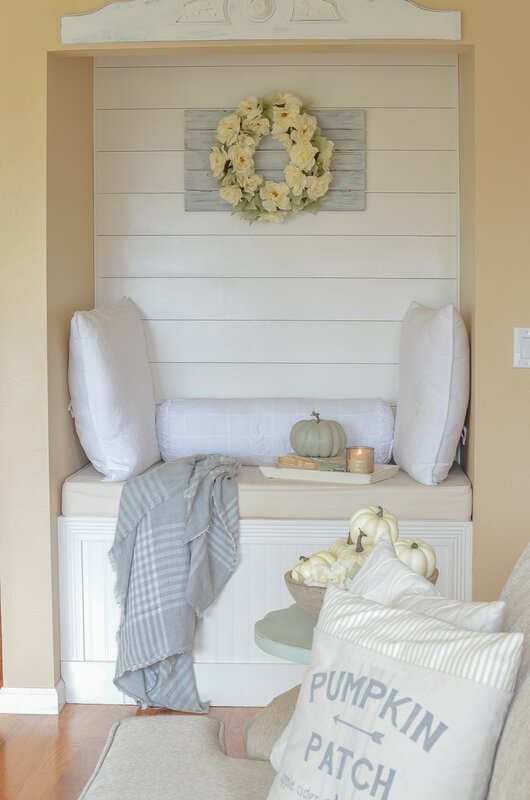 You can see how we transformed this empty space into a cozy nook in this post. And if you’re curious about that purdy wreath you can see how I made it in this post. Ok, so I had to include at least one vintage find in this room. I just couldn’t help myself. How fun is this old antique copper boiler full of pumpkins? I just love those wooden handles. I got this from my sweet mom and let me tell you–this guy is super old. I can remember seeing it in our living room when I was growing up, so it’s really fun to use it in my own living room now. And bonus–it makes the perfect spot for a bunch of pumpkins! You guys saw this adorable pumpkin sign in my Friday Favorites post last week. I think I found the perfect spot for it here on the mantel. 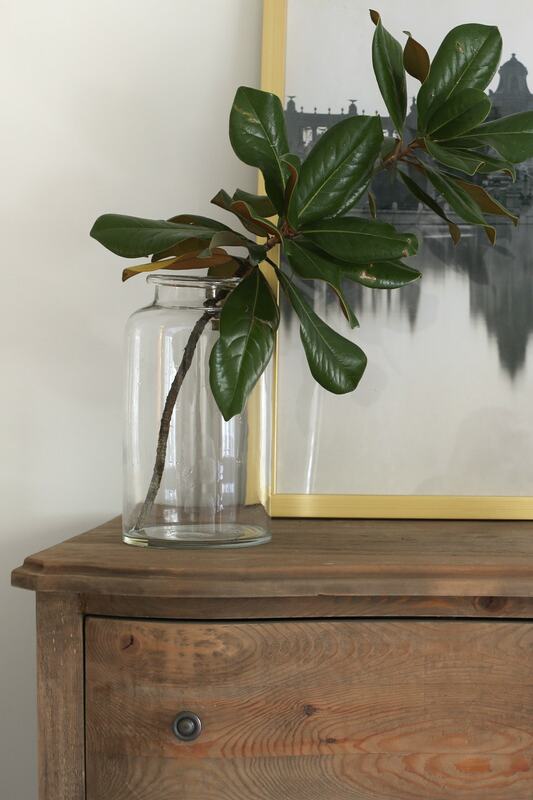 Easiest mantel decor ever! I don’t know about you guys, but as soon as the temperatures start to cool down I always have a candle lit in the house.The colder weather just makes me crave all things cozy, so candles are one of my must-have essentials for fall. This one is Cuban Vanilla and it smells sooooooo yummy. I was so excited to find real mini white pumpkins last weekend, so I snagged a huge bag of them. Then I promptly rushed home and put them all in this antique dough bowl. 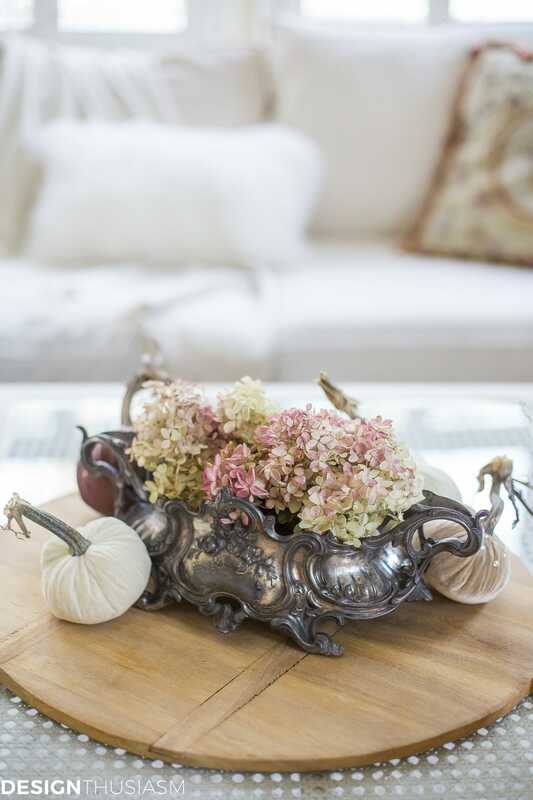 Talk about easy and simple coffee table decor for fall. Our living room may be small, but it sure is cozy this time of year. 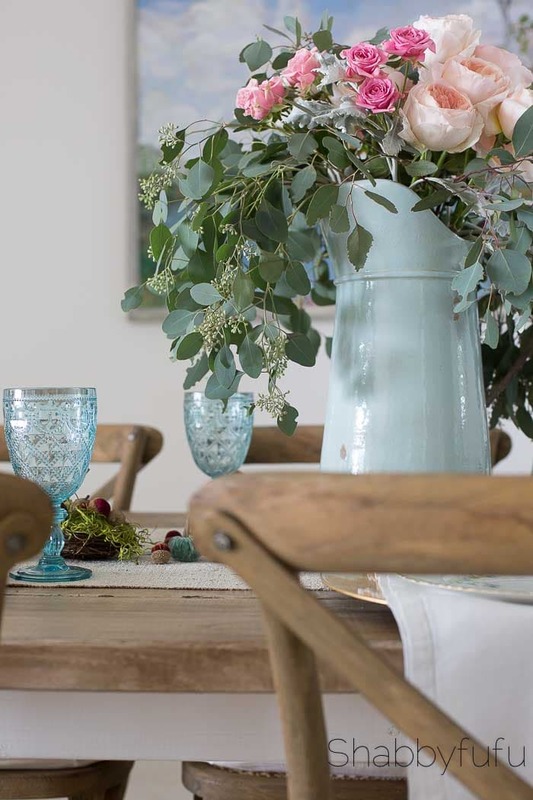 I just love this room so much–it really is the heart of our home. 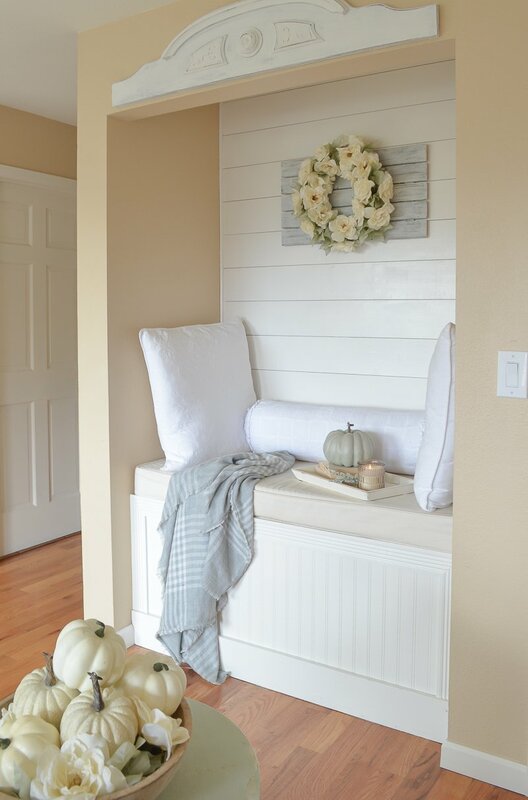 And it didn’t take much to give this space a warm, fall vibe. It’s simple, but that’s just the way I like. Well I sure hope you enjoyed today’s post and got a few ideas for your own home. Thanks so much for dropping by the blog today. 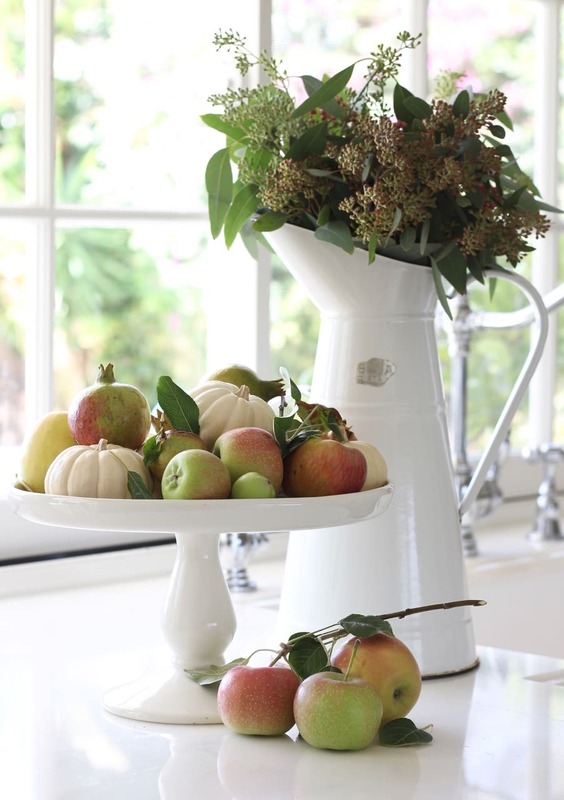 Now be sure to check out the other bloggers below for even more fall decor inspiration! I love your nook, too, AND the rest of your gorgeous space! 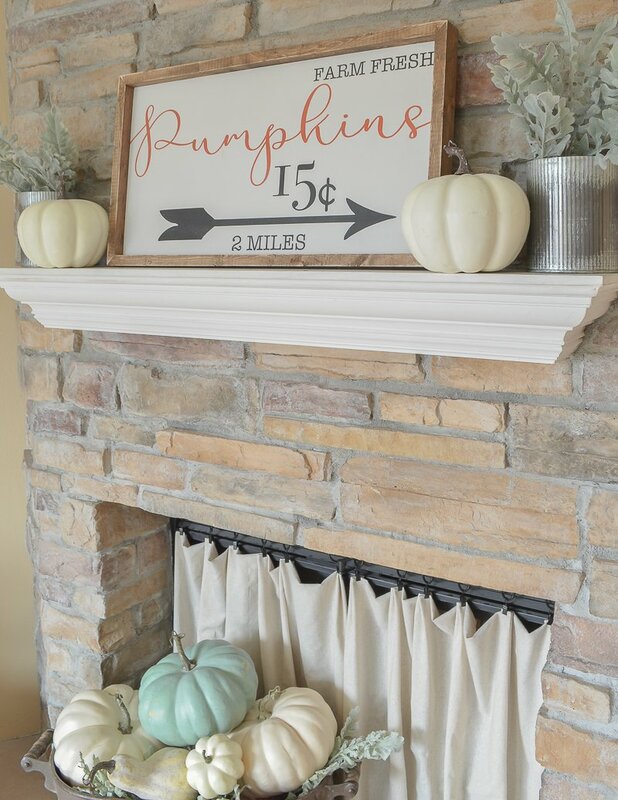 The sign above your mantel is amazing, and your dough bowl filled with baby pumpkins is a beautiful centerpiece! 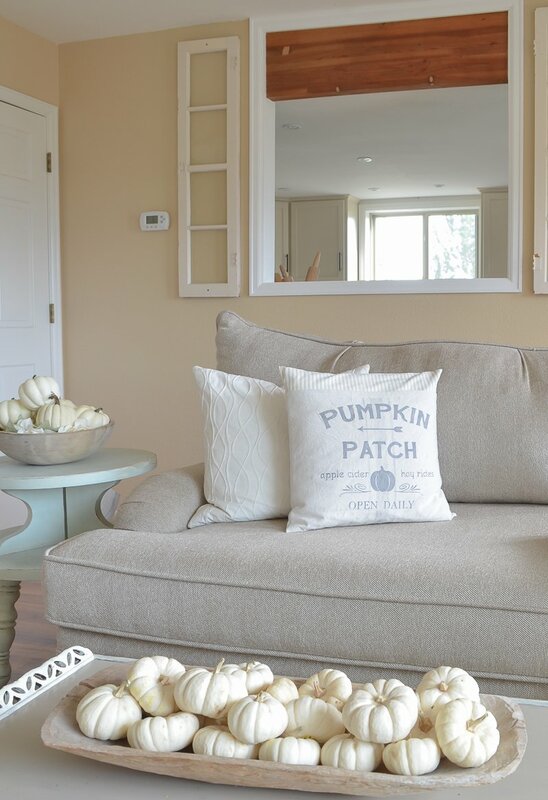 Your other pumpkins, throws and pillows all help to give your home the perfect Fall welcome! Can you please share the trim and wall color? I LOVE them and your house! So beautiful! Hi Kelly, the wall color was Autumn Blonde by Sherwin Williams and the trim is called Cloud White and I believe it’s by Behr. You can never go wrong with a dough bowl full of baby boos. Love the cute pumpkins sign, too. Right?! I couldn’t never have enough mini pumpkins! Just beautiful! Love ur posts. May I ask what brand or name of the loveseat is? I’m loving that bowl of mini white pumpkins!. As a fellow CO girl I have to agree–I neeeeeeed some sunshine! I think our sunshine is coming back this weekend. Yippppeeee! 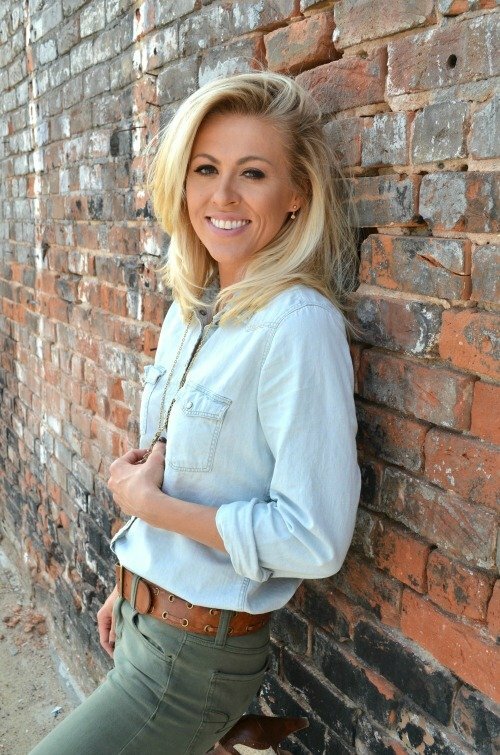 I just love your style and look forward to blog everyday. Thanks for taking the time each day to share. Thank you Angel, I really appreciate that and I’m so glad you enjoy it! 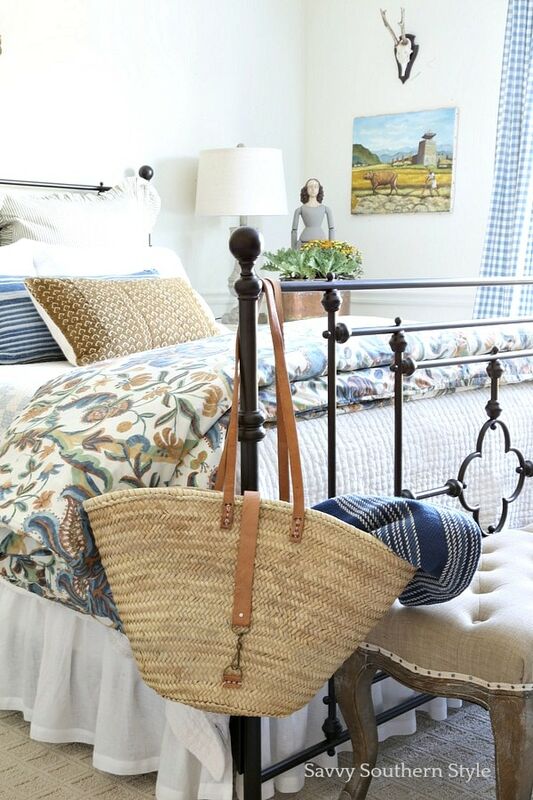 I love your neutral style! 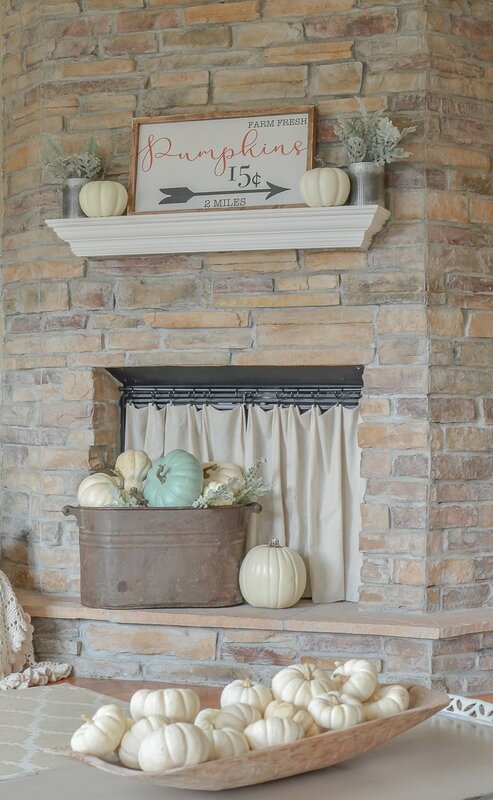 Great fall decor….love the sign on the mantle. I love it all so much! SO many pumpkins!! Do you think you have a number of how many are in the house? It’s gotta be a lot! ha! I don’t think I want to count them at this point! Hi, I too love the real mini white pumpkins!!! I put them everywhere and how I wish I had a dough bowl. I came across one last fall and I didn’t buy it. I for some reason thought it was a little expensive. Now that I think about it I really should have purchased it. I will be going back to that same country store in Oct. so I am hoping it is still available. Your living room looks amazing and I love the reading nook!! It is finally becoming fall like here in the North East, New Jersey to be exact so I am happy that most of my fall decorating is complete except for the real pumpkins, still a little early for me to start that purchase. Well enjoy your blessed day with your family. P.S. 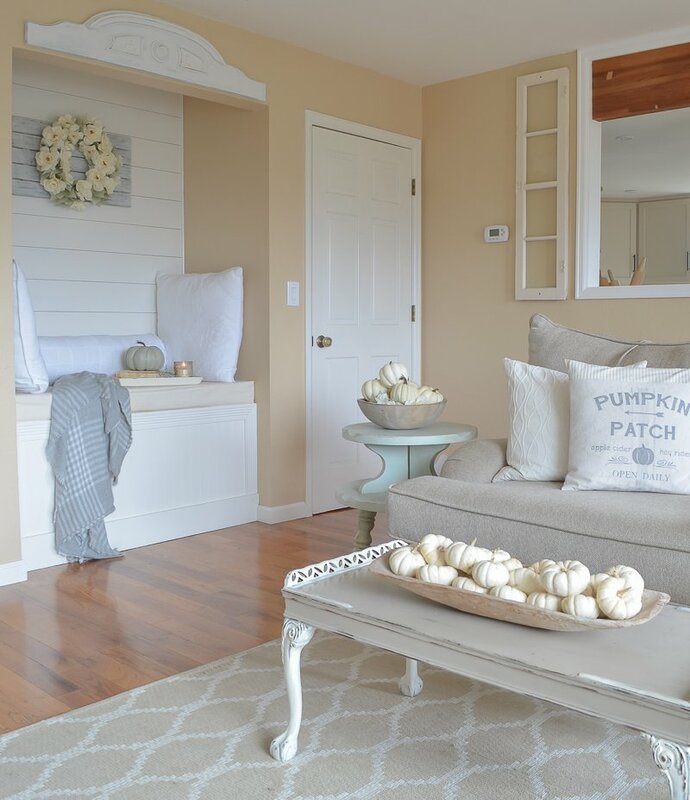 Go look at what I wrote on your post “before you paint your walls white” I made a comment that I know you will love about beadboard. I found mine at Safeway of all places! Not sure if you live close to one but stop by there if you do! Everything in that space is just beautiful! Would love to sit in there and have a cup of coffee. Great post! And I’d love to have you Deedra! 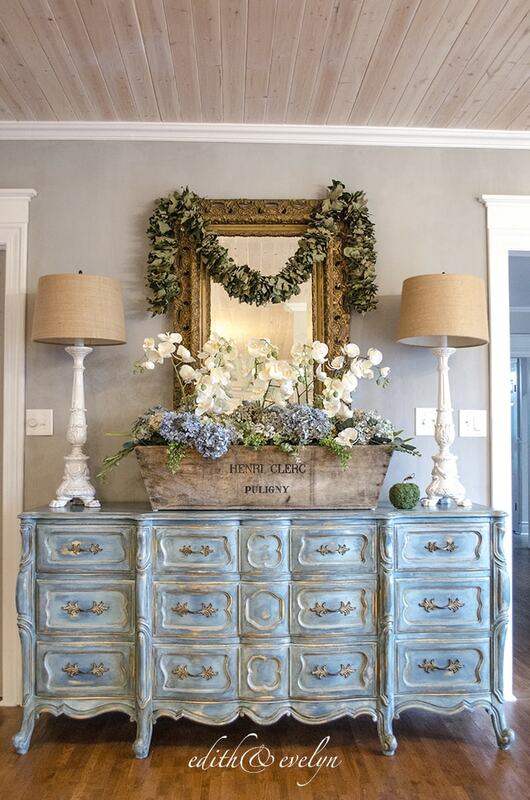 Lovely color palette and such a pretty take on the farmhouse style! Thank you Janet! I’ve so enjoyed doing this home tour with you. I love a neutral theme for such an orange holiday ;). as always, Sarah this is stunning!! absolutely every detail!!! Thank you so much Kellie!! And that copper boiler is amazing! I liked it before I read about it’s history, and now that makes it even more special! How wonderful that it’s something you grew up with! 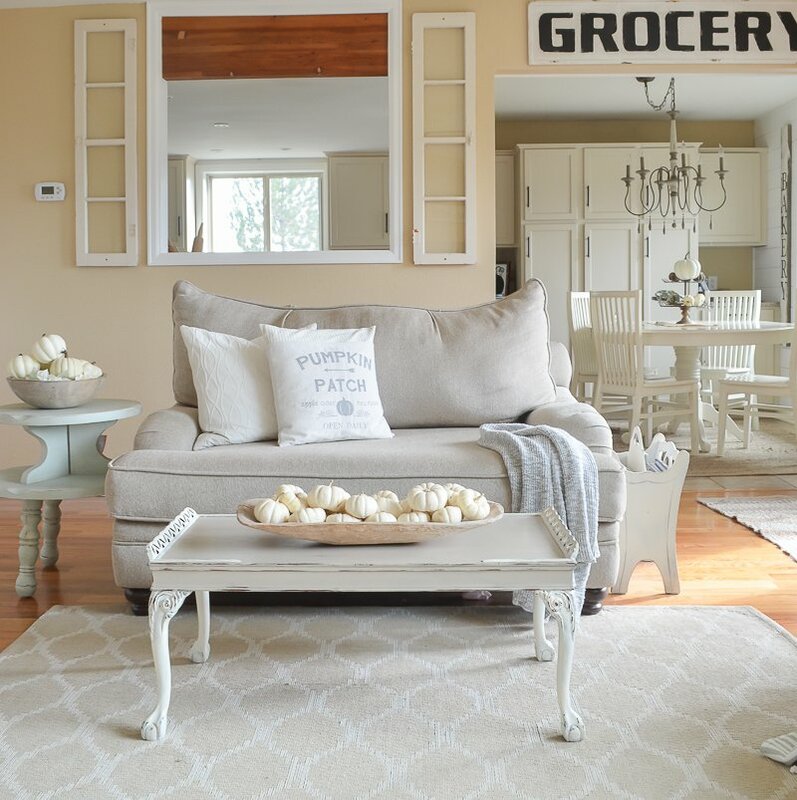 Love love love the neutral colors in this room! What is the paint color on the walls? 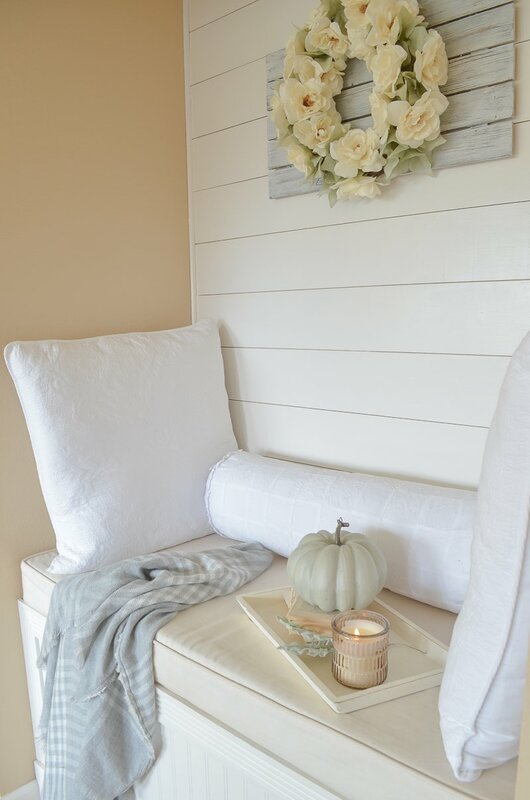 Sarah, I love how you clustered all those mini white boo pumpkins all around your home! 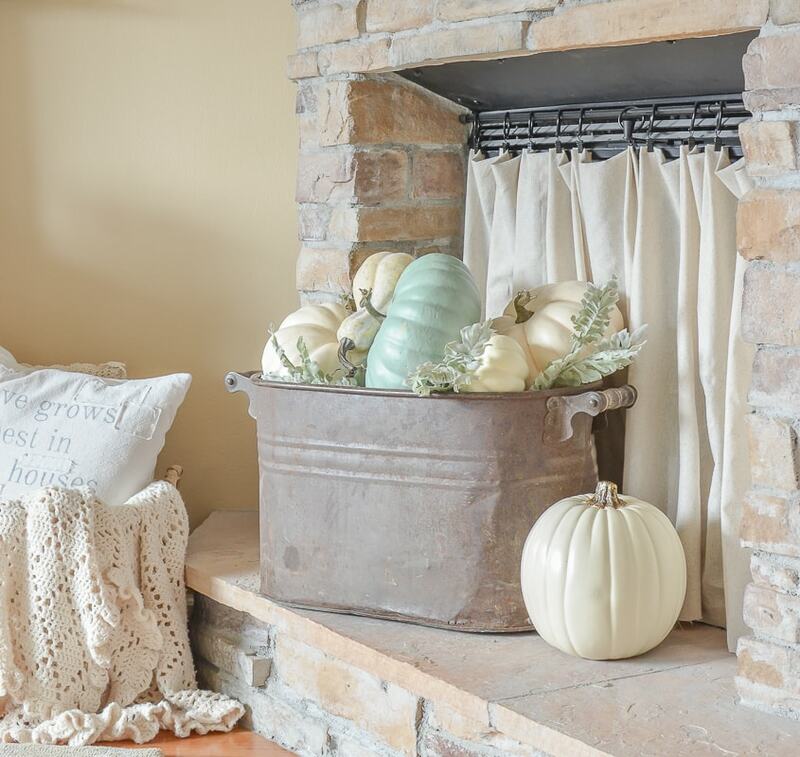 This is such a gorgeous fall home tour! I am loving all those little white pumpkins in the dough bowl. How perfect is that? Simple and so beautiful. Thanks so much for sharing your beautiful home with us! Hey Sarah! I love all your gorgeous fall touches! 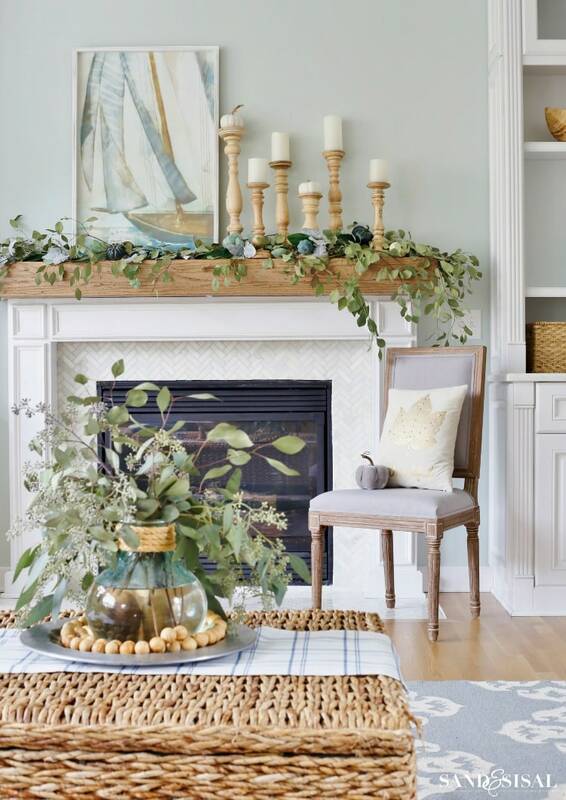 I especially love the “curtain” over your fireplace opening – that’s one of those “why didn’t I think of doing that?” things – such a great idea! Aw thank you Michelle! Those curtains were a really fun little DIY project. 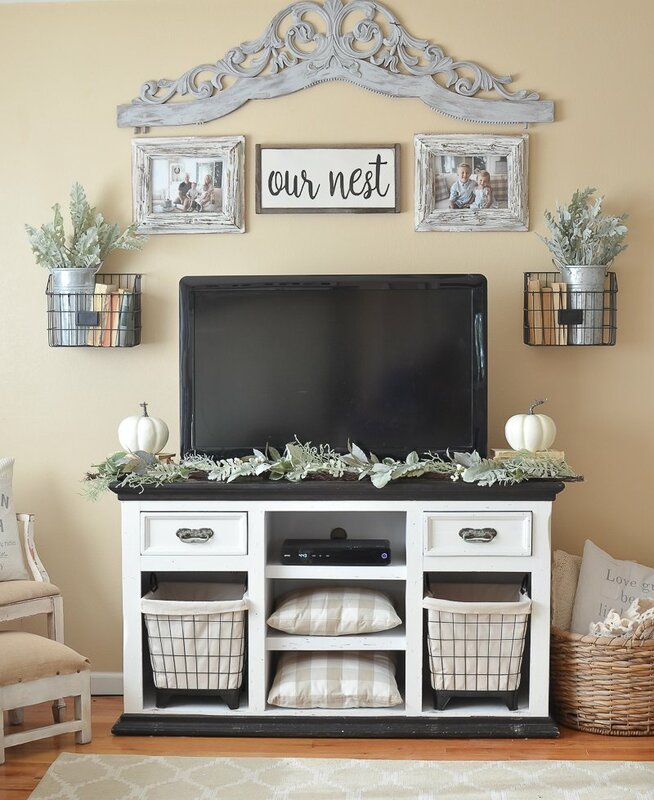 Do you use chaulk paint for alot of your white items in your home? I want to start doing that but haven’t had the courage yet. Yes I do! Go for it Denise, it’s so easy and I bet you’ll LOVE how it turns out. Hi Sarah. I was wondering what color your kitchen cabinets are. We are going to paint ours and I don’t want too stark of a white. Your home is beautiful. Just love your style! Hi Barbara, the color is called Hush by Benjamin Moore.